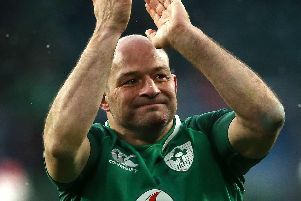 Irish international Rory Best will take the captaincy at Ulster for a third time. Director of Rugby Les Kiss confirmed the appointment tomorrow. Best, who has played 198 times for his home Province, returns to a position that he first held from 2007 to 2011. The 35-year-old brings immense experience to the role, having previously had two stints as captain of Ulster, as well as considerable experience of leading both Ireland and the British & Irish Lions. Best took over the Ireland captaincy 18 months ago and oversaw a historic run of results last year as they registered a first Test victory on South African soil in June followed by a first-ever win over New Zealand in November. Later that month, he won his 100th international cap in a win over Australia. A two-time British & Irish Lions tourist, Best led midweek sides on both the 2013 tour to Australia and again in New Zealand earlier this summer. “It’s a huge honour to captain my home Province again. To play for Ulster fills me with immense pride and that feeling is amplified when I lead the team out.